Publisher's intro. My own review was a wrap. But rather than return the loaner to the US, I'd sent it to a friend in Switzerland. That's because I'd told him just in case he needed knowing what he ought to consider next for his own system. Though Dan trusts my opinion, nobody should buy on blind faith alone especially not in this class. Having previously acquired a LIO from Vinnie, the two already knew each other. Dan's request to home trial this review sample was thus granted. With a Voxativ 9.87 Pi and alternate Cube Audio Nenuphar speaker set which I'd reviewed as well as a Jay's Audio transport, Soundaware D300Ref and Vibex conditioners, Dan's system and mine overlapped quite a lot. But tastes still differ, never mind that Dan already owned a few very good preamps which he loved on his main Berning Siegfried amplifier. How much better could it really get to justify changes? After confirming receipt, Dan also copied us on this later that day: "After one hour I can confirm that everything works fine. Soundwise… well, for now I'll just say that Srajan, you were right." Whether that meant my review or subsequent personal recommendation we still didn't know. Having original Western Electric and Elrog for just 300B never mind an arsenal of alternate DHT types including 50 and 10Y in his glassy stash, Dan could also roll well beyond the little I'd done. 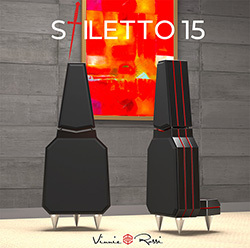 By then Vinnie was in the Schaumburg Hotel & Convention center to formally launch his new Stiletto 15 loudspeakers at Axpona 2019. 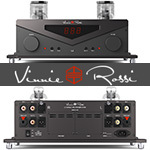 One could now assemble a front-to-back Vinnie Rossi system, just add digital/analog source and wires. The brand was going places and raising its profile. 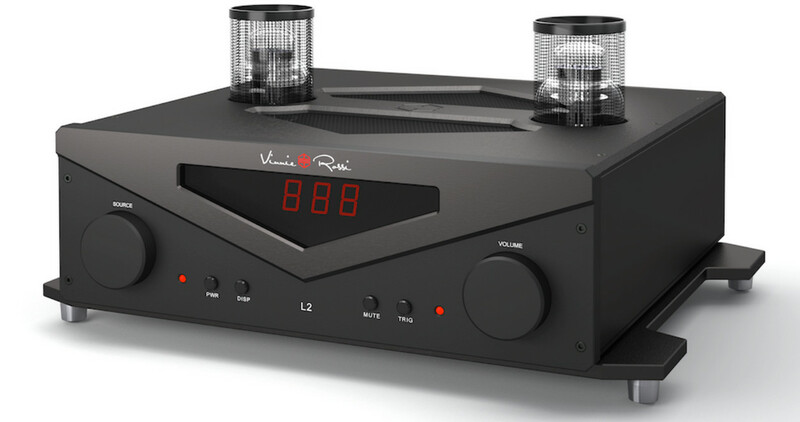 Here Dan takes over to share his experiences of the L2 direct-heated preamplifier without the optional phono or DAC modules installed.